We can now publish our Commercial Pricing for season 2018-2019. This season we are offering a 3-tier hospitality pricing structure to meet various budgets and hopefully enable all Poppies supporters to have the opportunity to enjoy the KETTERING TOWN FOOTBALL CLUB match-day hospitality experience. GOLD = 3 Course Meal. Typically: Pate starter, chicken in sauce, hot new potatoes, seasonal vegetables, apple tart with cream. OR. Super buffet. Selection of open sandwiches and rolls, i.e. ham and mustard, smoked salmon and cream cheese, egg and watercress, mature cheddar and pickle. Various pastries, pork pie, quiche, mini pasties, sausage rolls, crudités and dips, crisps, apple tart with cream. Glass of wine, tea, coffee and soft drinks included. RED = 2 Course Meal. Mains and Dessert as above. OR, similar super buffet, apple pie and cream. Glass of wine, tea, coffee and soft drinks included. WHITE* = Finger buffet, a selection of sandwiches on brown and white bread typically ham, cheese, egg or tuna, sausage rolls, scotch Eggs, mini pork pies, crisps. Tea, coffee and soft drinks included. 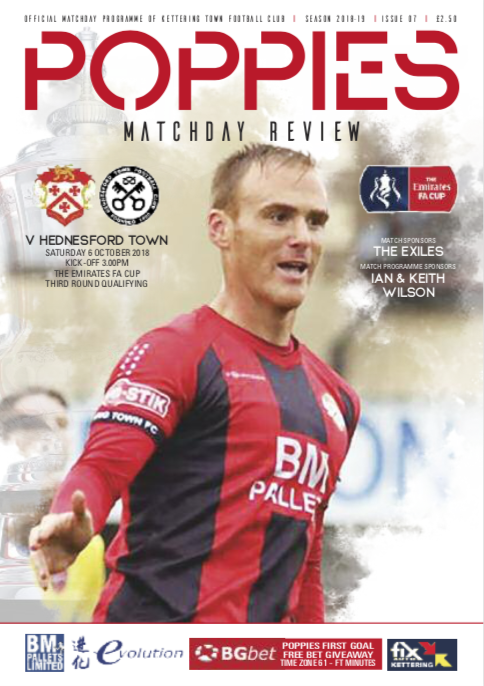 Includes hospitality, memento, match programme, car parking, seats in the main-stand. Chat with the manager or assistant manager before the game. 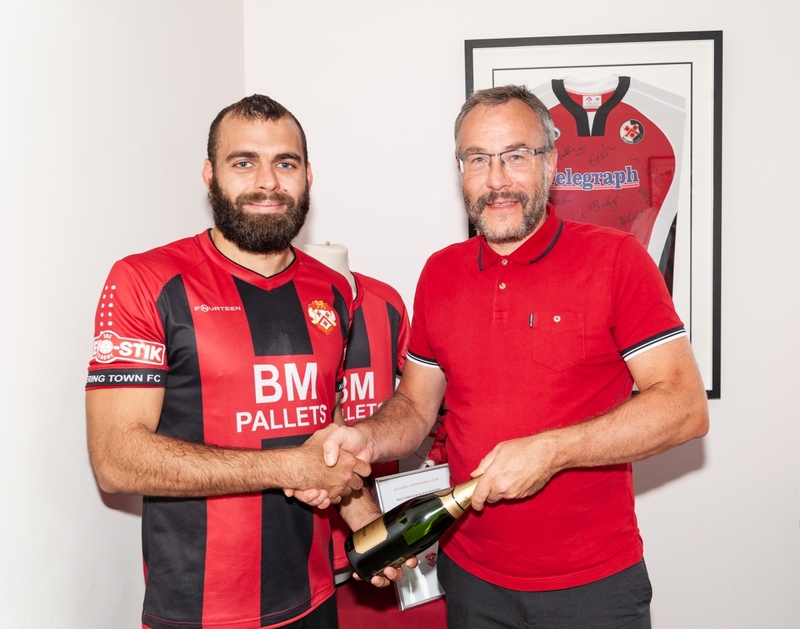 Match sponsors get to choose the Man of the Match and present the champagne. The MOTM will present the mementos and be available for photo opportunities. Alcohol packages available on request. Gold £280 for 4 people, £510 for 8, £615 for 10. Mid-week £255, £460 and £550. 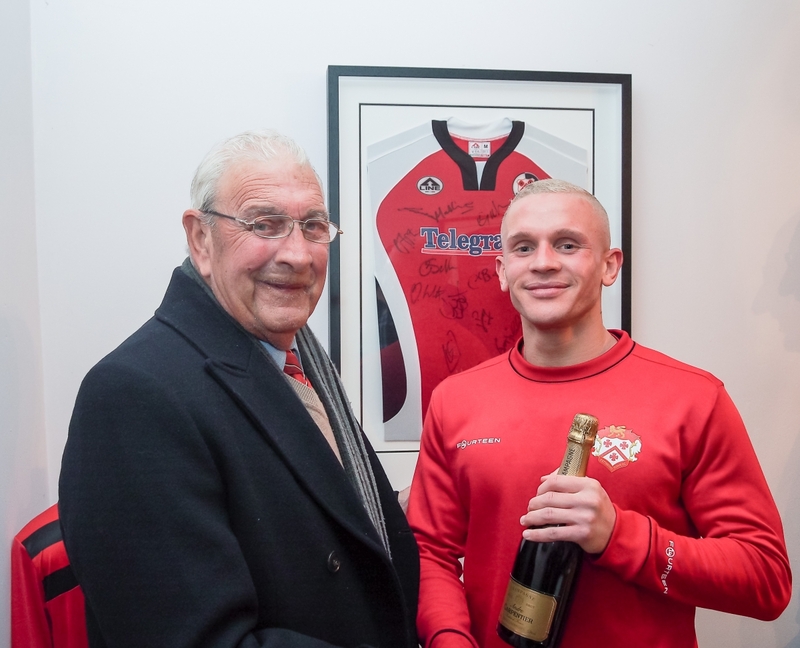 Player Shirt Sponsors: £125 (16 numbered shirts + Managers) receive the signed shirt at the end of the season. 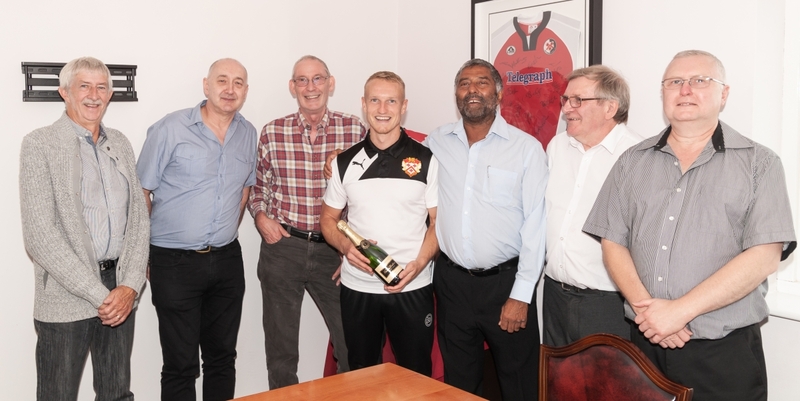 Home Associate Directors: £500 (Includes all home games with match hospitality, car parking, reserved seat, programme and one game as a ball or programme sponsor to include one guest). Mascot: £50 Includes mascot and 2 adults, add a junior sized shirt for £20. Reserve a seat: £40 (only available with a season ticket). Reserve a Car Park Space: £40.